December 10, 2015 Writer Hassan Blasim on magic, horror, and his journey on foot to Europe. Hassan Blasim is an Iraqi writer and filmmaker, whose series of short stories The Iraqi Christ won the Independent Foreign Fiction Prize in 2014. He speaks to Ruya about being a film student in Baghdad at the time of the UN sanctions, shooting his controversial film The Wounded Camera, his journey on foot to Europe, and his upcoming anthology, Iraq + 100. 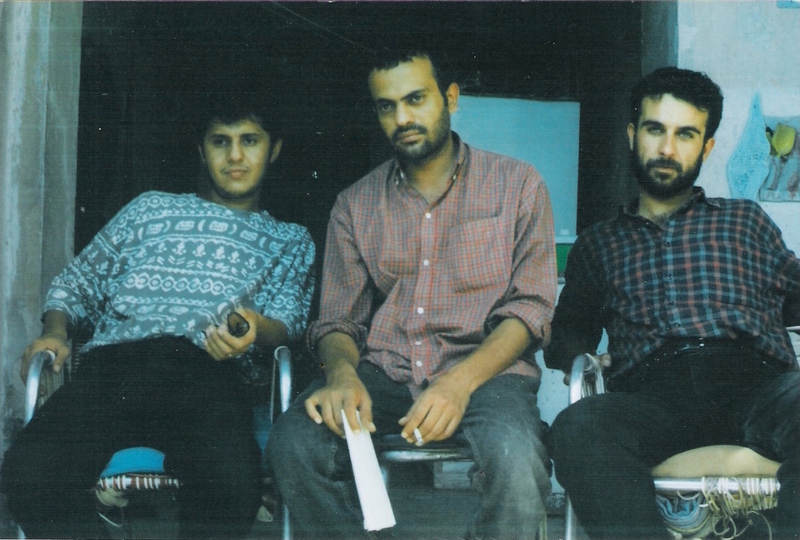 Hassan Blasim (seated at the front) shooting his feature film The Wounded Camera in Sulaimaniya. What was the first story you remember being told? It was a French novel for teenagers which I read in translation. It might have been The Three Musketeers. It was full of action and tales of knighthood. In hindsight, I find it a bit commercial, but the story stayed with me. In The Iraqi Christ, Salwan notes that there is no fantasy fiction in Arabic literature. Is this something that you believe as a writer? Arabic literature lacks genres, and I am critical of this. It has no variety like Western literature. We do not have fantasy, surreal or war literature. Our only discourse is reality and we do not venture into new territories. I am currently editing an anthology of short stories, Iraq + 100. We have asked Iraqi writers to imagine Iraq in 100 years. The writers are surprised and ask, why Iraq in 100 years? For them, this means finding political solutions for the country. What are the roles of magic and horror in The Iraqi Christ? My work is often described by the international press as Magical Realism. Both my books The Madman of Freedom Square and The Iraqi Christ, have horror in the backdrop, though The Iraqi Christ has more elements of black humour. It reflects the environment the stories emerged from. A car explosion in a market, where children die, is a fact but it is also a horror story. What writers do you most admire?The Iraqi writer I like most and I even have a spiritual connection to his work is my friend Adnan Al Mubarak, who lives in Denmark. Lately, I like the works of the Japanese writer Haruko Murakami and the American writer Paul Auster. You began your career as a filmmaker. What films were you making as a student in Baghdad? I was a student during the UN imposed sanctions of the 1990s. The Academy was only semi functional, and for a long time, there were no short films being made. In the eighties, the government produced propaganda and war movies like Qadissiyat Saddam, an epic about Iran-Iraq war. There were no possibilities for short films except maybe inside the Academy. All short film stories were stimulating to me. I wanted to film any subject, and I started writing short films before I joined the Academy. My first film was a documentary about a very poor man – it was a student film, with a low budget and production value. But it made an impact, even among the circle of tutors. Nobody had thought about making films in any other way, because nobody dared produce a film. Life was defective and production facilities were very simple. I also worked on the script for a short film about a person who comes from the country side to Baghdad, called The Clarity of Mud. I fled to Kurdistan and gave myself a Kurdish name, Ouazad Othman. It means free man in Kurdish. After your film The Wounded Camera, you fled from Iraq to Finland. What made the film so controversial? While I was a student at the Academy of Fine Arts, I was harassed by my professors, and I fled to Kurdistan. I was interrogated more than once by a teacher there, who was a member of the Ba’ath Party. He told me “if you don’t behave, I will put you behind the sun”. What did that mean? I have no idea. I hadn’t been politically active. Saddam was still in power, so anyone who did so faced execution. The Kurdistan Region of Iraq was autonomous. 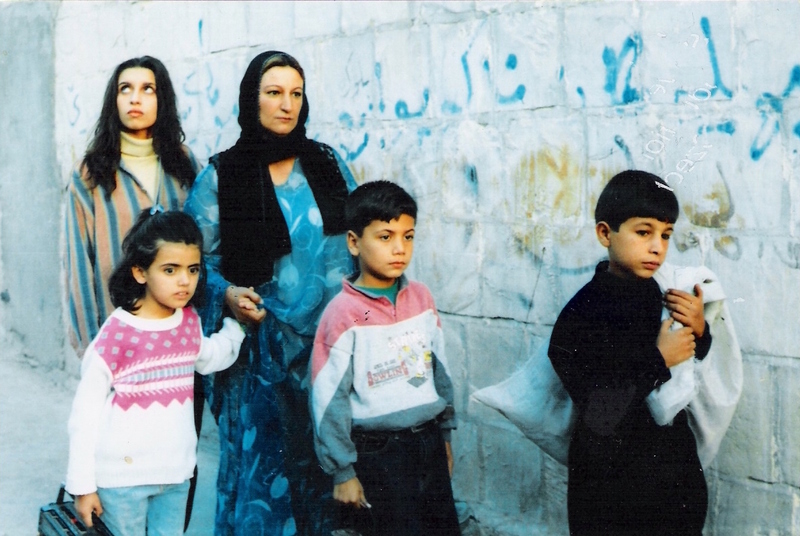 Iraqis who went there were automatically labelled as dissidents in Baghdad – which put my family in danger. I gave myself a Kurdish name, Ouazad Othman which means free man in Kurdish. I made the film The Wound of the Camera, about the forced migration of millions of people when Saddam’s army entered Kurdistan after the uprising in 1991. The people migrated towards the mountain, where they were stranded and left homeless at the borders. 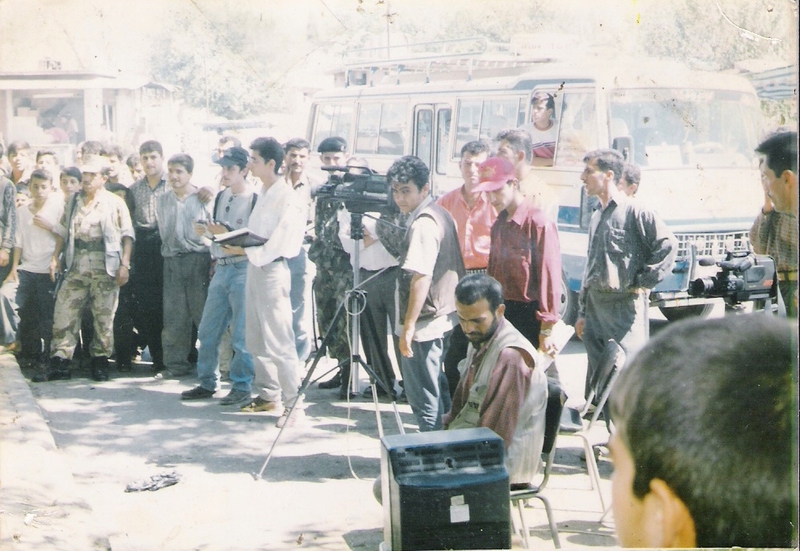 The film was a direct criticism of the authorities and their treatment of the Kurdish population. It was a Kurdish story. 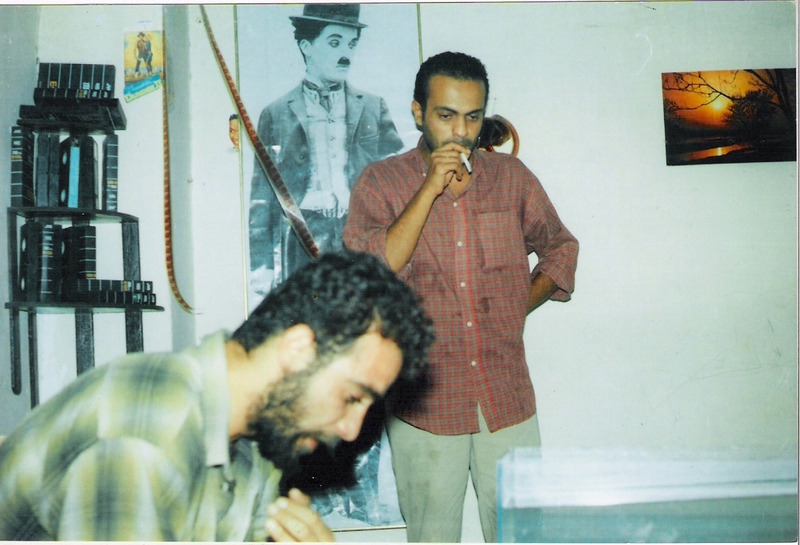 Blasim at a film studio in Sulaimaniya, Iraq. (c) Hassan Blasim. Why did you leave Kurdistan? The Kurds had just come out of a civil war between the different Kurdish parties. The situation there was difficult and I couldn’t go back to Baghdad. I went into exile in 2000. It took me 4 years to get to Finland. What made the journey so difficult? I crossed to Iran from Kurdistan on foot. It took days to get through the mountains to Turkey. When I arrived in Istanbul, I was a refugee and an illegal immigrant. I worked illegally in restaurants, factories and gardens. My employees often took advantage of my situation, and the pay was minimal. It took me a year and a half to save enough money for traffickers to take me to Bulgaria. I tried four times and failed. Each time, I returned to Istanbul and started over. When I finally got to Bulgaria, I was working illegally in restaurants, and had an accident where I lost my finger. I saved for over a year, to pay the traffickers for the final leg of my journey. I got in a truck to Serbia, and went on to Hungary, then Finland. Illegal migration to Europe is risky. It was particularly difficult for the women and children I met on my journey, who had come from Pakistan through Iran. Each person had their own painful story. These stories about illegal immigrants are not covered enough in the press, which only provides general information. Each person has their own very painful story. Illegal immigration is difficult and tragic. There should be a serious effort from Europe and the countries where people migrate from to address the issue. Filming in Sulaimainya. (c) Hassan Blasim. Do you have a new film project? I have received major support from the Finnish Film Foundation, to turn one of my stories from The Madman of Freedom Square, ‘The Reality and the Record’ into a film. It is the story of an ambulance driver who is kidnapped by a group that sells him to another group, again he is sold to another group and so on. There is a great deal of fantasy involved and black humour. Will you direct this film? I have not thought about this yet. Now, I would say that I want either a Finnish director, or myself to direct it, but it is also possible that I will work with an Iraqi director. I am not sure … it is too early for that. I will decide once the script is finalised. Where is home for you? Home? When I first left Iraq, I was homesick, but having lived in so many places, I now feel like a traveller. The world has become a hotel. I have a room in Baghdad, a room in Helsinki, a room in Bulgaria… Iraq is a part of me and my history but home for me are the people closest to me, my son, my girlfriend, my friends and my work. What is your favorite place in Iraq? How would you describe it in a story? The Mutannabi Street, which brings all the writers and artists of Baghdad together. We used to call it the lung of Baghdad. It was the only place where we could breath freely. It appears in the background of some of my stories, like “A Thousand and One Knives,” the last short story of The Iraqi Christ. A person in search for knowledge goes there. I may write about Mutannabi directly one day.